Nimphul Hawa is a Bangla Story Book written by Dhrubo Esh. All Bangladeshi book readers know the name of Dhrubo Esh, because he is a popular cover designer. 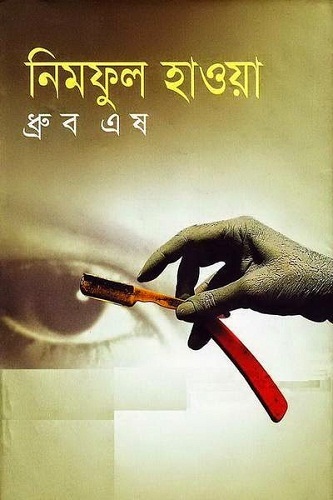 He designs most famous Bangladeshi writer’s book cover. Now he is writing stories and novels also. In this book have total 5 very wonderful stories. The name of this book is given from the first story Nimphul Hawa. It is a story about a couple; professor and storywriter Jafar Sadek and architect Rumana Afruj. They love each other too much. But suddenly what happened? 2ndstory is Ashaura Rail Station er Pathor (Stones of Ashaura Rail Station). The story is about two friends who comes a place where cultivated Nil when English company or English government are ruling in India. One of them was passing his night in the Rail Station. Suddenly he meets with a man in that place. It’s a horror story. Another 3 stories are Matir Konthossor, Banortupi and Koborer Noissobdo. PDF File Size: 8.16 MB. If you like this book, please buy a hard copy of this book from your nearest book shop for support the writer and publisher.